It is the Monsoon season in Myanmar (Burma) and during this time of year mosquito breeding increases as do malaria infection rates. 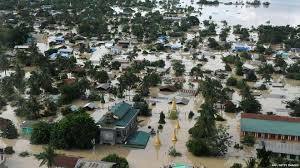 In the midst of the normal Monsoonal rains vast tracts of Myanmar have experienced flash floods and landslides, dams have broken, thousands are displaced and the extra water lying on the ground will mean that mosquito breeding will be extremely high and malaria deaths will rise. 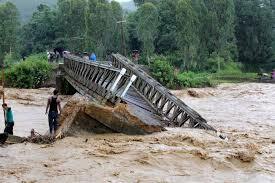 This situation is worsening and over 40 people have died and 200,000 are displaced. Emergency supplies are urgently needed. 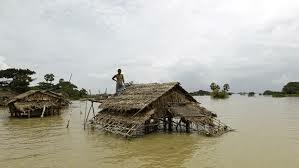 The flood waters are moving south which will greatly effect people living in the Irrawaddy. Buzz Off is seeking donations of funds through which it can provide relief to families affected by the flood. These funds will be used to provide food, clean water, shelter and LLIN nets to families affected by the floods, These items will be distributed through the networks that we already have in flood effected Myanmar. Your donation will help to save a lives. Donations can be made through the Australian Mercy Secure Site just select Burma Flood Appeal.